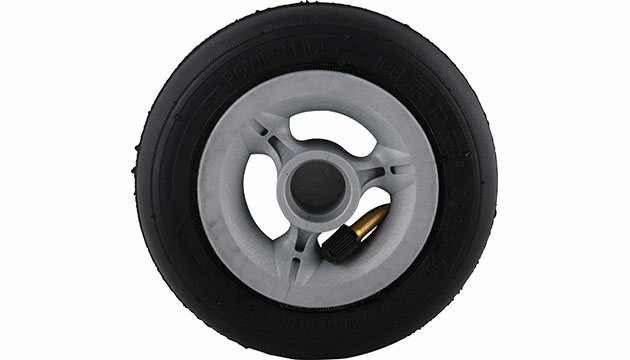 This replacement wheel fits only to the Powerslide Vi SUV and Powerslide Vi, SUV Metropolis & Shockliner skates. The diameter of the Roadwarrior wheel is 125mm ( type 5 x 1"). The wheel comes with tube, tire and rim. It does not include the spacers and bearings. The Roadwarrior has a recommended inflation pressure of 5.9 bar. Attention: The Powerslide Roadwarrior wheel fits to 125mm Skates. Please note: On the pictures we show the wheel with gray and black rim. The color of the rim we can not guarantee. You might receive gray or you might receive black. If color is extremely important for you please contact us in advance.